Originally the CROWN 34, built by Calgan Marine. Sometimes called the SUN 34. The molds were sold to GlassFab, builders of the SUN 1030. Later, the molds were repossessed by Calgan and then sold to Clark Boat Co. USA. 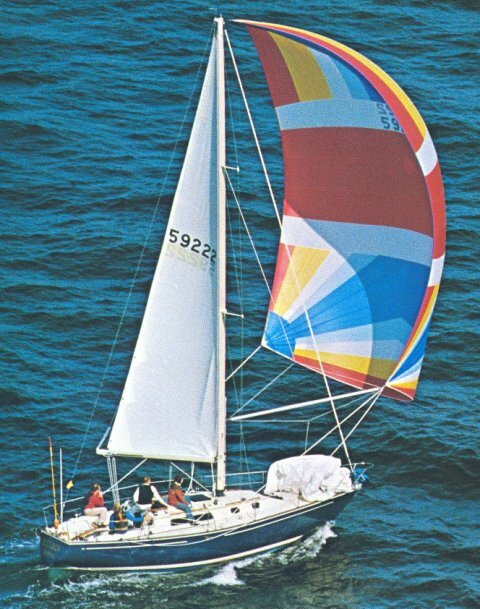 With a few modifications they were then built and sold as the SAN JUAN 34.